For the 2017 fiscal year the Conservation Reserve Program average rental rate was $76.73 per acre, up 6 percent from the prior year. 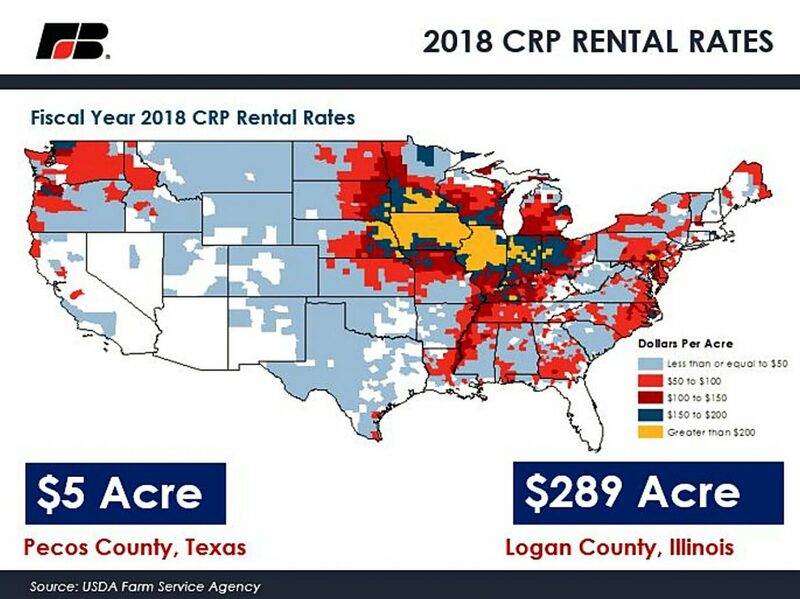 Based on preliminary analysis using fiscal year 2018 rental payments of $1.8 billion dollars, up 4 percent from prior-year levels, and anecdotal evidence that fewer acres were enrolled in 2018, it is projected that average CRP rental rates have increased this year. USDA data on CRP rental rates for fiscal year 2018 indicated that rates range from a low of $5 per acre in Pecos County, Texas, to a high of $289 per acre in Logan County, Ill. For 2018, approximately 159 counties had an average regular CRP rental rate greater than the 2017 average National Agricultural Statistics Service cash rental rate of $136 dollars per acre. 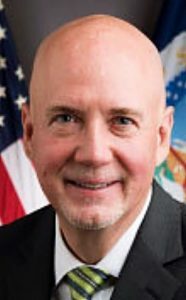 Rental rates were generally higher in high-yielding crop production areas such as Illinois, Iowa, eastern Nebraska and southern Minnesota. Rates were the lowest in non-Corn Belt areas such as the Great Plains, Southwest and portions of the Southeast outside of the Peanut and Cotton belts.